This system was visited for the first time on EDSM by Michael Darkmoor on 15 Mar 2019 23:04:11. 1739 ships passed through Hypiae Phyloi LR-C d22 space, including 35 ships in the last 7 days. 3 ships passed through Hypiae Phyloi LR-C d22 space in the last 24 hours. 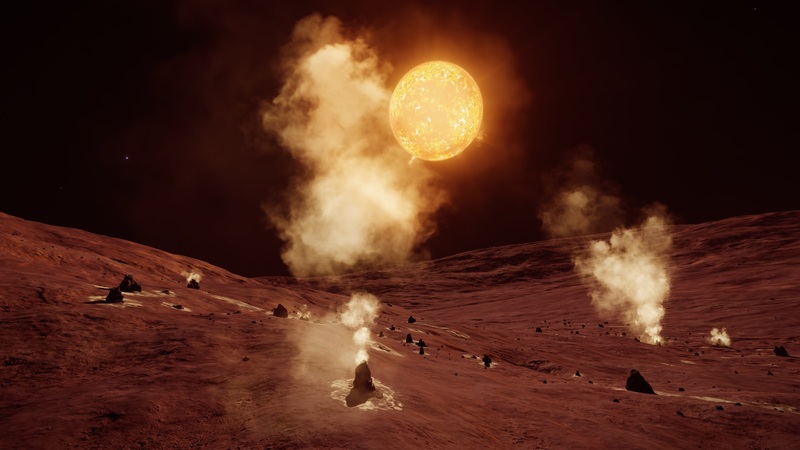 Situated around 300 LYs below Goliath's Rest, this red giant system acts as a staging post for the climb up to the the galactic ceiling, and as a location where commanders can collect Jumpoinium resources in preparation for the climb. Lower Goliath's Rest was used as an alternative stopover point for Waypoint 8 on the Distant Worlds Expedition of 3305.